They make some pretty cool looking wheels, been curious if the quality matches the price compared to some other aftermarket wheels. Anybody on here rocking a 100 Motorsport? Like the look and price, but wondering the quality and reviews. Thanks for any input. That's what I have in my car and personally I love it. 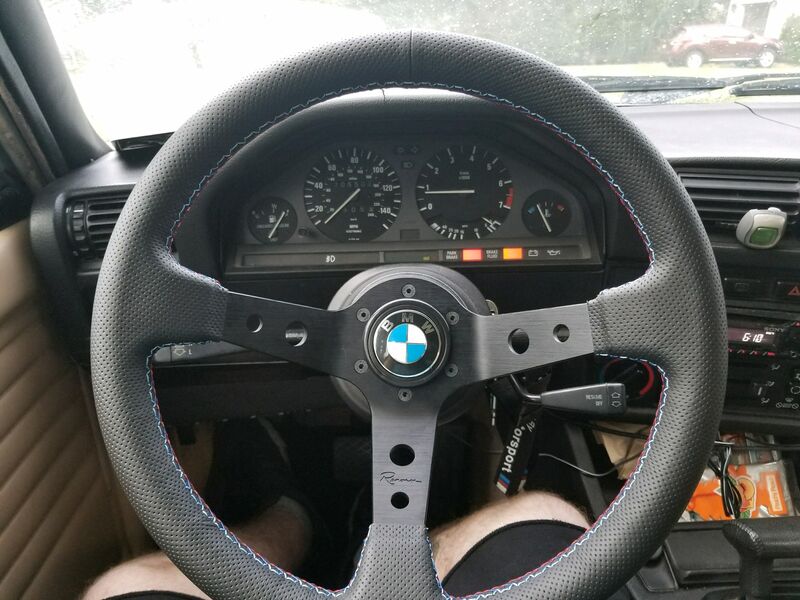 One of the best steering wheels I've ever driven with! I purchased the Renown Monaco Silver Motorsport. 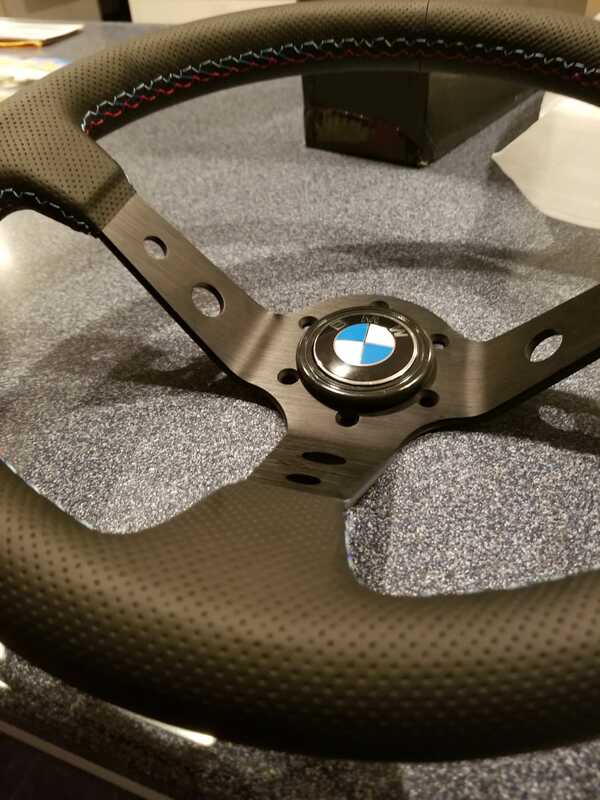 I received my steering wheel in the mail a few days ago. The package was in good condition when it arrived and all the contents inside were packaged very well. Inside the package they give you all the necessary tools to install your wheel. Only thing you will need is a 22mm to get your old wheel off. Installation is a breeze whether you know what you or doing or not. I spoke to Scott who was extremely helpful during the purchasing and shipping process. Speaking to him was hassle free and he answered my emails very fast. The wheel itself looks great in my opinion. I tried to bend it and manipulate it in different directions as others have stated here before and there is no give, it’s reliable. It has a great feel to it and at 350mm I feel it gives me more leg room. 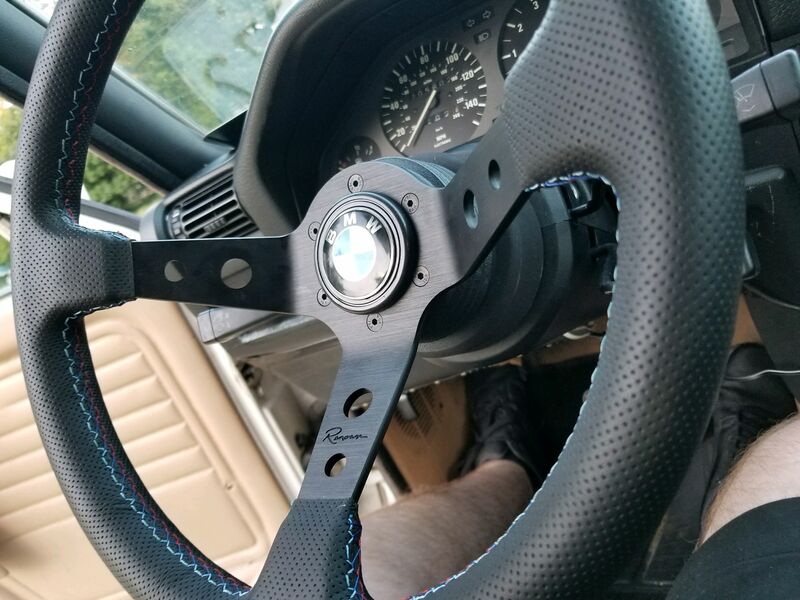 Overall I’m very happy with my purchase and will definitely recommend this wheel to anybody. For around $200 bucks I think it’s a great buy. Thanks to Scott and Renown!